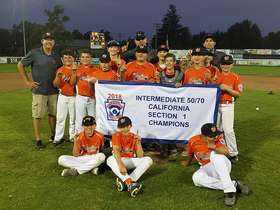 Woodland Little League is an organization that provides a structured Little League Baseball program designed to teach good sportsmanship, and to provide a wholesome recreational activity for youngsters. 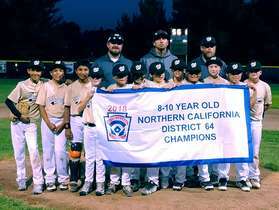 The overall goal is for everyone to have fun participating and learning baseball fundamentals, to build self-esteem, learn sportsmanship and discipline while giving safety foremost consideration. 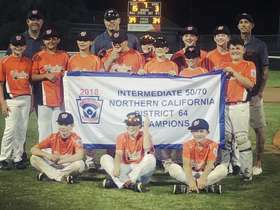 Congrats to the WALL Intermediate 50/70 team for winning the District 64 tournament, the Section 1 tournament and coming in 2nd place in the Nor Cal State Tournament! Congrats to the WNLL 8-10 year old team for winning the D64 tournament this year! 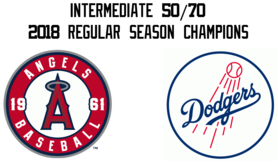 We are pleased to announce the 2018 Intermediate 50/70 All Stars! The District 64 All Star Tournament will be hosted by Woodland Little League this year and will run from June 20th through June 25th. Play begins Wednesday June 20th with WALL vs Winters @ 5:00pm and WNLL vs Dixon @ 8:00pm. All games during this round will be held at Camarena Field. Please come out and support our kids! Congratulations to the Woodland Little League 2018 Regular Season Champions! You can now follow us on Twitter, Facebook and Instagram! Our social media accounts will be used to send out league information and game cancellation(s) due to weather/field conditions. If you are signed up to receive updates on Twitter you will get a text almost immediately. Don't want to join Twitter but still want to get the updates? Purchase your Woodland Little League photos online! Click on the picture to access www.EZReorder.com - you will need the access code provided with your free Memory Mate to reorder.